A few weekends ago I was sitting on a bench in Tompkins Square Park, eating a Bea Arthur cone from Big Gay Ice Cream and people-watching. I observed an elderly woman sitting on the bench next to mine, who was likely a local. I wanted to ask her how long she’s lived in the Alphabet City/East Village neighborhood, how much has the area changed over the years, has she tried a cone from Big Gay Ice Cream, but I didn’t want to disturb her. One of NYC’s draws, in my opinion, is that it’s so huge and full of people that it’s easy to blend in if one wishes. This post will cover two films and a book about different New Yorkers that stand out, want to stand out, or prefer to blend in. I always associate Joan Rivers with New York City. Not only because she was born and raised there, but because of this memorable scene with Miss Piggy in The Muppets Take Manhattan and the fact that she did stand-up gigs in local clubs in addition to The Fashion Police on E!. Joan Rivers was a remarkable, hilarious woman who created a path for women in comedy working today. She persevered through the boys club of stand-up comedy, and other personal crises such as losing her husband to suicide, to have a long-lasting career. What impressed me after watching Joan’s documentary is how much work she took on. A calendar with blank entries was her worst nightmare. 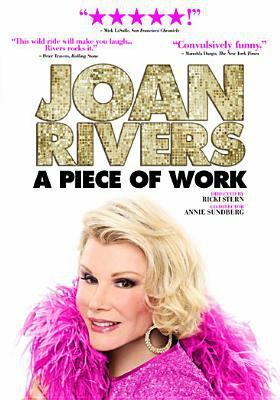 There are several scenes in the documentary that show Joan and her team booking shows and other events, such as a cruise, a stint on Donald Trump’s Celebrity Apprentice, and a roast on Comedy Central. I admire her energy and hope to still be able to work as hard when I am in my 70s. (At the time the film was made, Joan was 75.) Joan also cataloged her jokes in card catalog (more about that in this article), which set my librarian heart aflutter. Bill Cunningham is a fashion photographer for the New York Times. His “On the Street” column appears in the Sunday Styles section, with additional video content on the Times’s website. He can be spotted riding his bike on the streets of Manhattan while wearing a blue jacket and taking photos of off-duty models, socialites, regular people commuting to work, and stylish teens. Occasionally, there are pictures of well-groomed pups. I appreciate this mix of subjects. Any street fashion photographer/blogger working these days must tip their hat to Bill Cunningham. The documentary follows Bill as he rides his bike (with some close calls with taxis that terrified me as a viewer) seeking ideal subjects for his photos. We see his process, which includes using a camera with actual film and visiting a shop to develop the pictures. (Those still exist?!!?) Bill opens up about his background, and how he came to fashion photography from a career as a milliner. Another interesting angle of the documentary was the battle between longtime tenants, including Bill, of the Carnegie Artists’ Studio and the owners that wanted them to leave. Bill’s life is that of an artist wholly devoted to his craft of fashion photography. Humans of New York, by Brandon Stanton. 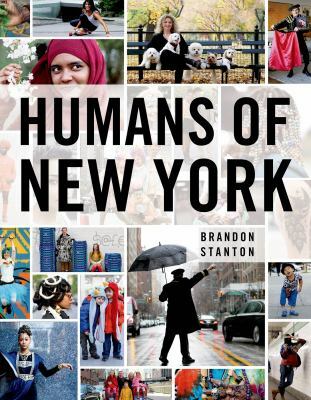 With Humans of New York Brandon Stanton has made a project of photographing and interviewing everyday New Yorkers and posting their photos and stories to Facebook and Tumblr, which led to the book. His work is similar to Bill Cunningham’s, but with less emphasis on fashion. Brandon brings truth to the saying that everyone has a story to tell. Have you ever wondered what that stranger you passed on the street was thinking, but were afraid to ask? Humans of New York indulges that curiosity. The book is full of beautiful photos, with captions typeset in a white sans serif font that does not detract from the images. Stanton’s next project is a book called Little Humans, which will feature kids. That should be adorable, as the kids sometimes give the most profound (and cutest) interviews on HONY–see this example. Stanton is currently doing a world tour of sorts with the United Nations, basically taking the photo/interview structure outside of New York City to countries like Sudan, Iraq, Jordan, Ukraine, India, and Mexico. The Humans project is definitely one that travels.